‘Screen time’. When most modern parents were kids, there was no such thing. We ran outside, we played with dolls and trucks, bats and balls, boys and girls. But as anyone with young children or teenagers now will know, managing the highly addictive nature of digital devices is a daily battle and one of the biggest challenges of modern parenting. While there’s certainly no understating the many benefits that modern technology has afforded us, especially in terms of education and the dissemination of information, most of us are still in the honeymoon phase with our personal devices and the novelty is still yet to wear off. This is especially so for children and teenagers. Regardless of whether you’re an adult or a child, in today’s media-saturated world it’s pretty standard to spend at least a couple of hours each day consuming digital information – be it via television, web browsing, texting, gaming or social media. So what’s the impact of that in terms of our social, physical and emotional health and overall wellbeing? 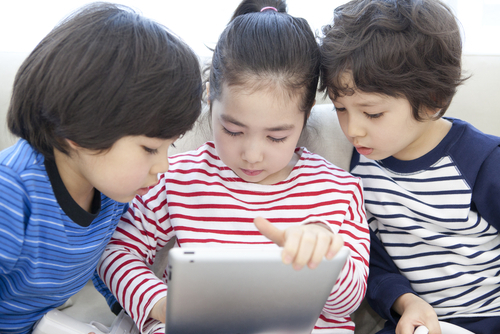 Most parents, teachers and health care professionals strongly suspect that excessive screen time has a negative impact on a child’s health and development, and increasingly studies are showing that to be the case. OK, so what’s the impact? Some of the more common issues linked to excessive screen time include social isolation, inability to focus, sleep problems, depression, and anxiety. Obviously if excessive screen time is coming at the cost of time spent doing physical activity then weight gain and other physical health issues can come into play pretty quickly too. Then there’s the more indirect stuff such as decreased sensitivity to subtle communication cues like body language and facial expression. All in all, a pretty nasty grab bag of potential side effects in the name of staying “connected”. What’s really clear in all of the studies that we’ve followed so far is that a healthy family lifestyle sets clear limits on daily screen time – not just for children but for parents too. According to Australian Health Department guidelines children under 2 years should steer clear of the screen altogether. Children aged 2-5 years should spend no more than an hour a day, while children aged 5-18 years should have no more than two hours. The study found 45 per cent of eight-year-olds were already exceeding the limit, and the proportion climbed to 80 per cent for children aged between 15 and 16. Developing healthy screen time habits while your children are young is the best way to empower them to make better choices when they’re older. Here’s how. Set screen time guidelines according to the ages of children in your family and develop a family home plan for media which includes eliminating media use at mealtime and bed-time and establishing clear rules about media use, texting, mobiles, etc. at all other times. Be aware that for most school age children, homework involves screen time too, so factor this into your daily time limits. Pepper children’s home time with chores – when children in the study had limited screen time and were given chores to do, they performed better academically, socially and emotionally. Household tasks, like laundry, cooking or taking out garbage, made children feel a sense of self-worth and responsibility. Keen to find out more? Here’s a handful of interesting recent articles that you might find useful.